Kleverware provides solutions to help supervisors and managers be sure they are in compliance to standards and regulations. Post-assessment, the resulting instructions relayed by auditors (Internal Control or Account Auditors) are becoming increasingly drastic. To ensure maximum security, Kleverware IAG reduces the risks customers may encounter by providing flexible solutions. 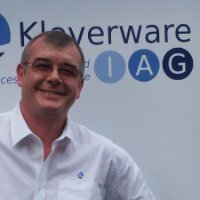 Kleverware has been a pioneer in IAG since 2005, constantly focusing on innovation and its return on investments. Our goal is to help businesses mitigates the risks associated with managing their permissions. Kleverware solutions lets you see who has access to what and why. Kleverware HQ are close to Paris, allowing Kleverware to expand into an international network and as a vertical enterprise. Bertrand Augé has more than 25 years of experience in the software industry, specialising in security. He founded Kleverware in 2005 and maintains his role as CEO. Today, he focuses on the growth of Kleverware in France, Asia, and EMEA. 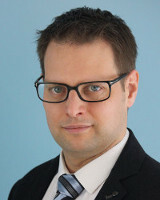 Arnaud Fléchard has been Co-Founder and CTO of Kleverware since 2005. He manages Kleverware’s product development and innovations division, and oversees the implementation of Kleverware IAG in numerous companies, including AXA, Allianz, and HSBC.